3 What Are the Best Pre Workouts For Men Over 50? There are many things in our lives that change as we get older, and one of the most significant of these is our body. When we are children we have seemingly endless energy, easily bounce back from falls and DOMS (Delayed Onset Muscle Soreness) is a completely foreign concept. In our adolescent years we are virile, strong and full of energy. Everything is easy – we go to the gym, lift weights, eat protein and as a result we put on muscle mass. However as we get a little older this all starts to change. We have less energy, are weaker, struggle to maintain our muscle mass let alone increase it and suffer from crippling DOMS whenever we push it above a certain threshold. Unfortunately we cannot stop the aging process from but there are things we can do to prevent it from happening too fast and to reduce the impacts it has on our bodies. When it comes to men and muscle growth, a good pre workout supplement can really help. It’s hard to say what the best pre workout for men over 30, over 40, over 50 etc is but there are a lot of things we know that can help us to choose. A very wise women (my mother in law) once said, “we start dying from the day we are born.” This is a very sobering thought, but statements like this can also be very motivating. The older we get the less time we have so making the most of it becomes more of a priority as the number of candles on our birthday cake increases. One of the best ways to make the most of the time we spend working out is to leverage the benefits of a good pre workout supplement. For men over 40 and 50 this becomes particularly useful as we naturally have less of the time and energy that we used to be able to put towards sculpting our bodies into David-esque statues. As we get older we feel like we have less energy and often things that were once simple become harder. There is a scientific reason for this! As one study says ‘the impairment of energy metabolism and redox homeostasis is a hallmark of brain aging’. In our twenties we could maybe go for 4 hours, but in our fifties that can often be closer to 1 hour. A good pre workout supplement can help us by enhancing our metabolic processes, and providing an energy and motivation boost to make us feel like we are younger. The demands of life are another thing that impacts us more as we get older. Ahh, to be young and carefree again! I look back on my teenage years as the least stressful times of my life. Even my twenties were relatively worry free. We don’t know it at the time but unfortunately this all changes. Mortgages, more responsibilities at work, bigger bills, kids, old parents and many other things start to take up more and more of our time. As a cruel result, when we do get that precious little bit of free time we are often too worn out to want to do anything. Unfortunately this is life, and the best way to manage this is to schedule working out into our routine and make it a priority. Everyone knows it is harder to stay in shape once we pass 50, or 40 or even 30 years old. The anabolic and metabolic functions in our body gradually decline and as a result our muscle cannot perform at the intensity or for the duration we could once manage. This is one of the areas where a pre workout can really help. Substances like Beta-Alanine are known to increase the amount of work muscles can do before becoming fatigued and any good pre workout will contain this. What Are the Best Pre Workouts For Men Over 50? It is hard to say what the best “anything” is for someone without knowing their exact situation. You will however know if you feel you would like more energy, more focus, more endurance, etc. What sort of exercise you do also makes a difference. If you do predominantly cardio then you should choose a different pre workout than if your workouts consist of heavy resistance training. Below I will list my recommendations. If you are just starting your fitness journey then firstly, congratulations! Secondly, you may want to check out my post on pre workouts for beginners to get an overview of what they are and what they do. Thirdly, I recommend Cellucor C4. 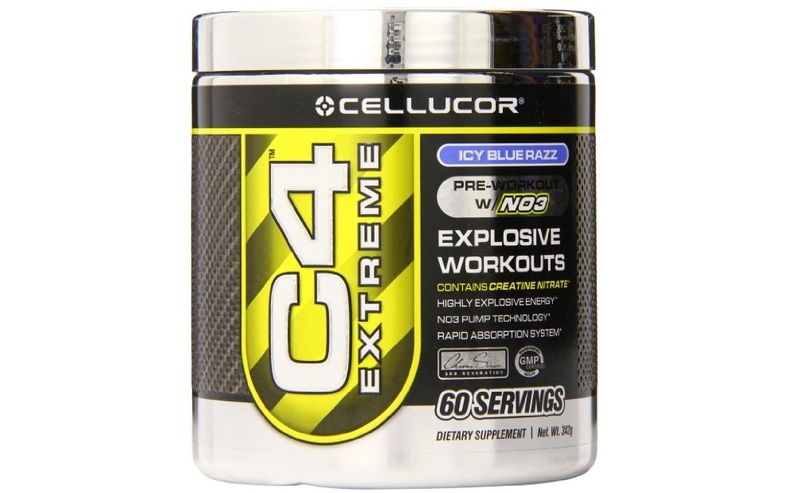 This is a great product – you can read my review of Cellucor C4 to find out more if you like. One of the best selling pre workout supplements of all time! Try it for yourself and see why! I have done a whole post on the best pre workouts for mental focus and motivation but to summarize I would say the best one is The Curse by Cobra Labs. A word of warning though, it is not for the faint of heart! 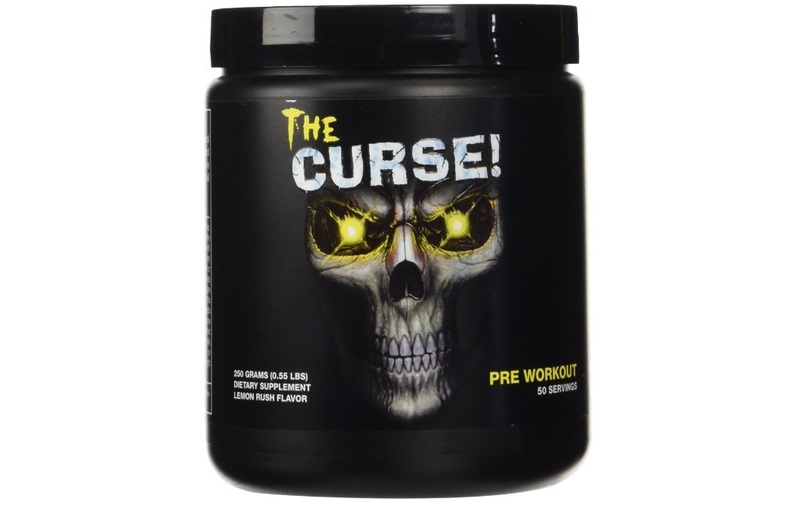 "The Curse is one of the most powerful, and mind blowing pre workout supplements on the planet. Manufactured by Cobra Labs in the USA, it's an ultra-concentrated blend of potent ingredients that blows every other pre workout product to pieces." 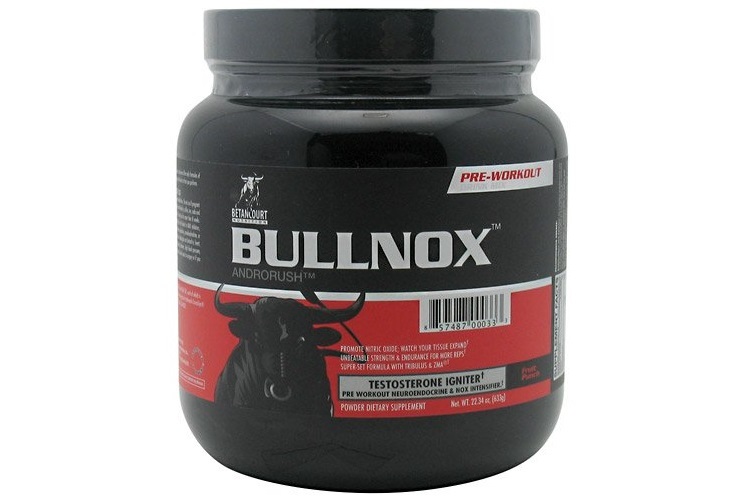 When it comes to pre workouts Bullnox is a heavyweight. See for yourself what all the fuss is about! I think the key here is to go easy on the stimulants. 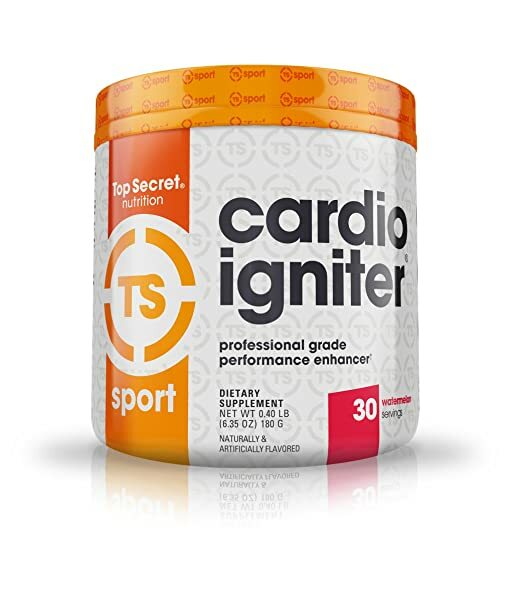 I’ve done a whole post on pre workouts for cardio and I think the best one is Cardio Igniter by Top secret Nutrition. Use it for cardio or lifting or both. Try it yourself and see why so many people are raving about it! You may also want to check out my collection of pre workout reviews. I think that it can be difficult for anyone to exercise. I am not over fifty years old, but I do often find that I lack the energy and stamina to just get up and go on that bike. Sometimes it’s laziness, but many times I just do not have the energy. Maybe a supplement would help. A supplement could definitely help you Ben! I’m personally not so big on pre-workout, however after reading this, light has been shed over it. Your information is great and very trustworthy. I would recommend tweaking the page layout a bit to make it look professional and clean. The content is great and you’ll definitely get far with this! My husband is over 50 and works out regularly. He takes pre-workout supplements like N.O.-Xplode and Test X ignite, he swears by them. If he doesn’t use these products regularly throughout the day he has no energy to do anything. Have you ever used these products? I will let my husband know about your website. I know that he will definitely find it helpful and informative. Thanks Gina, I have reviewed N.O. Xplode – it is a great product. I must say that I don’t think it is healthy to rely on pre workout products for energy – it sounds like there may be some health issues your husband may need to address with a doctor. Good luck! This was a fantastic well written article. I agree with everything you have said despite myself being young of age as my grandad is how you explain, he wants to do fitness but doesn;t have the energy too. I will definitely show him these pre workout supplements to fuel him and provide him with the things he needs. I am already a huge fan of C4, everyday is a struggle for me to want to get up and go workout first thing in the morning so one thing I do is make a pre-workout drink the night before and keep it on my bedside table and then when my alarm goes off first thing in the morning I down the drink which forces me to head to the gym. It works wonders! I never thought about making the drink the night before. Thanks for the great idea Kyle! These are all great pre-workout supplements for men over 50. I was wondering if you have any recommendations for a young man. My son is 16 and works out at the gym with a trainer. He comes home and is completely sore for a couple of days. What would be a good choice for him? Any suggestions? Hello and thank you! If he is excessively sore I would suggest bcaas and creatine. If you type either of those terms into the site search box on the top right you will find some good information and products. Good luck! Im a 50 year old who does endurance cycle races and medium distance swimming. 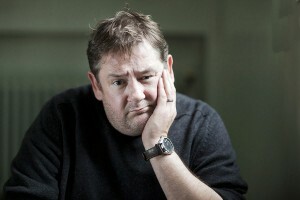 I’ve had a look at you pre-work out routine for 50 year olds, and its very much similar to mine. In my pre-work out I work mainly on my core and lower back. The swimming also helps me tremendously in maintaining upper body strength. Very good; glad you liked it George. Happy training! I’m really into keeping fit but I don’t think I’m at the stage quite yet where I need pre-workout (actually I tired it once and it gave me chest pains:/). However I am still interested in learning about them. I’m 19 so I think it’s best just to focus on my diet at the moment. Maybe when I’m a little older and have less time and energy I’ll give it another try! Good idea Lyle and happy lifting! thanks for sharing a very interesting article about the best pre workout supplement for men over 50. I have to point out, you really explain in detail everything we need to know about supplement, why are they helpful and how to use them. I really learned a lot and I will share this post.